Oswald Bayer has rightly called attention to the Sitz im Leben of the confessional as the very Western place where the question of justice and justification before God was posed in the conscience of distressed individuals. This is the place where in his struggle Luther finally conceived the priest’s words, Ego te absolvo, as the self-promising words of the present Christ. The words of Christ are performances of the act of assurance, unilaterally realizing, as it were, the Preface to the First Commandment: “I am yours and you are mine.” “That the signum itself is already the res, that the linguistic sign is already the matter itself – that was Luther’s great hermeneutical discovery, his reformational discovery in the strict sense.” In ipsa fide Christus adest – in faith Christ Himself is there, both as performer of the promise as well as worthy object of believing trust. So the Finnish scholar Tuomo Mannermaa made the same Christological point about Luther’s teaching of the Christ who is present and active to save. Bayer, however, drew two problematic “rules” from this analysis of Christ’s presence as promissio: first, he argued that one cannot transform a promissory statement into a descriptive statement, and second, that one cannot transform the promise into an imperative. This is overdrawn. Bayer’s fear was that by description one would seek to find another basis for trust than the Word itself, as if one then sought to legitimate its speaker by means of an modern historical-critical or old-fashioned supernatural verification; moreover, the promise would lose its true divinity as creative power, if it were transformed into an imperative, thus making its truth dependent upon an independent human response. These are legitimate concerns. However, a promissory statement entails analytically a description of the promissory agent, especially when the promise is one of self-commitment. Otherwise the believer would be in no condition to test the spirits to see that the One who so promises is indeed the crucified and risen One (as per Mark 13); nor then would he be able to give an account of the justice of justification in the work of the crucified and risen Christ in the time of confession, leaving the hapless believer in a dumb state of blind faith rather than of understanding faith ready for battle with principalities and powers. Second, the evangelical imperatives of Paul are not demands of the law which return the believer to her own resources, even if there is a danger of taking them that way. In fact, they are exhortations to the Spirit’s “new creation” already now to live indeed by the Spirit of Christ. The evangelical imperatives are not a third use of the law but a second use of the gospel. Christological doctrine is the theological description of Jesus Christ that designates Him, and Him alone, as the speaker of the divine promise on the grounds that His saving work on the Cross and Easter victory is the right by which He forgives sins and breathes the Spirit upon believers. Such Christology identifies the object of faith, when faith, activated in love and persevering in hope, is taken the Spirit’s own hearing in believers of Christ’s self-donating Word, summoning them thereby to walk in newness of life. The model works because the One who descended to dwell among sinners as the Man-for-Others is the incarnate God, even though dwelling among sinners seems to make Him indistinguishable from those whose company He keeps. Because it is “this man [who] is God,” then, the reference to the Spirit is not nugatory, who must provide a new language for notitia in the new perspective of fiducia. “Faith” for Luther is divine faith, the work and gift of the Spirit, over which the Spirit disposes, since neither human wisdom nor human willpower can overcome the incognito of His humanity and the scandal of His cross. As the Creator Spirit raised Jesus from death, so also the Spirit raises the believer to faith, ubi et quando Deo visum est (“where and when it pleases God, Augsburg Confession V), that is, according to the Father’s good pleasure. 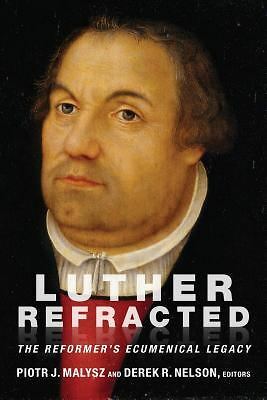 Luther’s Christology is manifestly embedded in a vigorous Trinitarian personalism; Christology cannot do all the theological work for Luther, but itself refers to the Father who sent the Son, and the Spirit whom the Father and the Son send. With Trinitarianism, then, we are provided the kind of full-orbed theological description of Christ that is analytic to the saving presence of this crucified Man as the Speaker of a unilateral and unconditional promise of true good. Bayer, Oswald, Martin Luther’s Theology: A Contemporary Interpretation trans. Thomas H. Trapp (Grand Rapids, MI: Eerdmans, 2007) 49ff. Mannermaa, Tuomo, Der im Glauben Gegenwaertige Christus: Rechtferigung und Vergottung Zum oekumenischen Dialog, Arbeiten zur Geschichte und Theologie des Luthertums, Neue Folge Band 8 (Hannover: Lutherisches Verlagshaus, 1989). See Dennis Bielfeldt, Mickey L. Mattox, Paul R. Hinlicky, The Substance of the Faith: Luther’s Doctrinal Theology for Today (Minneapolis: Fortress, 2008) 174-89..
 Paul R. Hinlicky, “Status Confessionis,” The Encyclopedia of Christianity, Five Volumes (Grand Rapids, MI: Eerdmans & Brill, 2008) V:198-201. See Paul R. Hinlicky, Luther and the Beloved Community, Chapter Four (Grand Rapids, MI: Erdmans, 2010). See the classic articulation of it in great Reformation statement, “The Freedom of a Christian” (LW 31: 343). LW 48: 12-13; cf. LW 35: 49. Paul R. Hinlicky, Paths Not Taken: Fates of Theology from Luther through Leibniz (Grand Rapids, MI, Eerdmans, 2009) 146. See Paul R. Hinlicky, “Luther’s Anti-Docetism in the Disputatio de divinitate et humanitate Christi (1540)” in Creator est creatura: Luthers Christologie als Lehre von der Idiomenkommunikation ed. O. Bayer & Benjamin Gleede (Berlin & NY: Walter De Gruyter, 2007) 139-185.